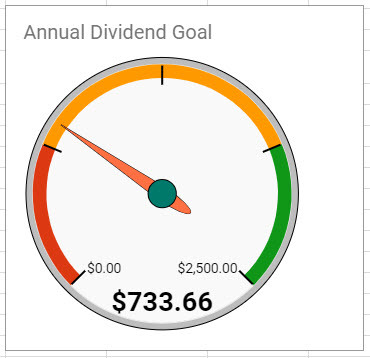 The Divvy Dad Portfolio (DDP) surpassed the $1,000 dividend milestone in June when accounting for dividends from my index funds as well as DGI stocks, with slightly over $200 in dividend income from my dedicated DGI investments. Unfortunately, July cannot hold a candle to those results from June as it is one of my quieter months based on forward dividend income projections. Only April and October are forecast to be lower, with the difference being the payout from Disney in July. The DDP received $108.75 in dividends in July, and while I don’t like to add positions to my portfolio based on their payout month, next year will see a small boost from the recent addition of “the monthly dividend company“. While July may have been a quiet month in terms of dividends, it was quite the opposite in terms of investing new capital. There was $3981.60 in new capital invested during July, with an additional $1703.45 invested after selling off some stock in an old Roth IRA. The new capital resulted in an additional $189.56 in forward dividend income. Following on my June purchase of Starbucks, I added an additional 20 shares with the price hovering approximately $1.50/share below the initial buy. The 20 shares will add $28.80 in forward dividend income. While I wasn’t able to take advantage of the price below $50/share, I was still happy with this purchase. Adding to my AFLAC position had been on my radar for awhile as it was underweight in my portfolio. The 11 additional shares @ $43.00 will add $35.36 in forward dividend income. Similar to AFLAC, I had been wanting to add more to Johnson & Johnson and missed an opportunity to do so in the low $120’s. However, even at the $125.50 purchase price I believe it is still a fair value. The additional 8 shares will add $28.80 in forward dividend income. Feel free to read more about that trio of purchases. The next purchase was in the Vanguard High Dividend Yield ETF. In the June update I had talked about a potential change to my automated purchase of the Vanguard Total Stock Market Index, and after further consideration I did decide to change course. I revised my automated deposit to go into the money market fund, and then I logged into my Vanguard account and made a manual purchase of VYM. The additional 6 shares will add $14.76 in forward dividend income. In the spirit of change, as my taxable holding of VTSAX reaches long-term capital gains I am going to transition that over to VYM as well. My rationale for that is because I already own a substantial amount of VTSAX in my tax-advantaged accounts (remember, I have been an index fund investor for many years) and I want to maximize my passive income in my taxable account. I wrapped up the month of July with a purchase of Realty Income Corporation. While this purchase was not made with new capital, I decided to sell a position that I had been holding in an old Roth IRA to finally dip my toe into the REIT sector. Realty Income has been on my list of REITs that I want to buy once my pension rollover completes, and honestly I did not want to continue waiting for that to process to start a position in O. The 31 shares will add $81.84 in forward dividend income. 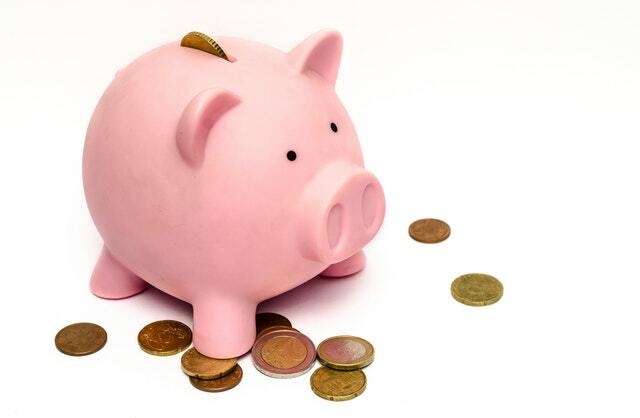 While July may have been a slow month in terms of dividend payouts, it was quite busy with multiple purchases being made that increased my forward dividend income by nearly 6.0%. As you can see, prior to establishing my DGI portfolio there were only a couple of payouts annually with the three dividend paying stocks that I have owned for years. The new portfolio is filling in those gaps nicely, and will begin to ramp things up quite nicely. One of my 2018 goals is to earn $2,500 in dividend income. At first glance it does not look too promising given that we only have five months remaining in the year and I am not even half-way to my goal. However, now that my portfolio is established and I will benefit from upcoming payouts for all positions, I have a forecast of a little over $1,500 in dividends remaining. That would still leave me a little short–in large part because I had expected to have my pension rollover completed in July, and I set a goal to reach $500 in dividend income from the REITs that I plan to buy. However, rather than dwell on what I cannot change, I am challenging myself to continue adding new capital to my portfolio to bridge that gap and achieve this goal. Overall I feel as though July was a great month between receiving that huge YoY increase and adding nearly $4,000 in new capital. What purchase did you make that you’re most pleased with? Thanks MDD, I’m really looking forward to next year when I’ll be able to track a real YoY increase for more than just the quarter ending months! I’m pretty pleased with the increase in forward income and hope to continue that trend in the months to come. Nice work DivvyDad – if you can keep adding capital in some sensible investments then you can’t go too wrong in the long run. Thanks Frankie, and appreciate you stopping by! As you mentioned, adding new capital into quality investments will set me up nicely to take advantage of those reinvested dividends and dividend increases in the future. I’ll have to check out your fund and purchases, as even though it may be in Aussie shares I still find that there is a lot of value to be learned from how people approach their investments. Good job adding to your fund! Thanks Tom. Yeah, I have been pleased with GPC and would like to add to my position as they are currently underweight in my portfolio. I think the only stock I own from your July dividend list if KO. Thanks Caroline, and appreciate you stopping by! One of the things I enjoy about DGI is to see how many different flavors are out there with people being successful with unique mixes of stocks. I have my spreadsheets on Google Sheets and adding the barometer is an easy chart to add. It is called a Gauge Chart, and you can tailor the ranges for the red/yellow/green to be whatever you like. Give me a shout if you want further help figuring that out. Gotta love those infinite growth rates, DivvyDad. You only have four more of those left, so enjoy them while you can. You are really plowing some cash into equities, and 7 new dividend payers for July… amazing. I find it interesting that your 3 legacy holdings all pay in the middle month of the quarter… that would be hard to have happen even if you were trying to do that. That’s just a neat coincidence. Love all of the recent individual stock purchases. I own them all, too. Let’s hope they serve us well into the future. I’m looking forward to watching your portfolio grow. It is pretty interesting that by chance the three legacy holdings all happen to pay on the same cycle, and that it isn’t the quarter end as that would be more understandable. For that reason my middle month of the quarter is currently better than the quarter end, or at least until I add the dividends from the index funds in my retirement accounts. NICE JOB Divvy Dad. Just killing it with those companies you own. I don’t own many of them, actually, so research is on! Appreciate that AFFJ, and thanks for stopping by! Definitely trying to get as much capital to work for me as I can given that I’m no spring chicken. My target is to try and get at least $2000+ into the market each month if possible. All the best to you as well! Congrats on your dividends and the tonne of cash you put to work. That is just fantastic. The snowball will surely grow! Thanks PCI, appreciate you stopping by! Definitely focusing on getting as much money to work for me as possible, and am looking forward to seeing that snowball grow. We all know what it’s like coming off a June high but as long as those dividends keep rolling in we should always be happy. Your portfolio is looking really solid and I like your new purchases as well. DGI is a marathon not a sprint. Thanks for sharing. Appreciate the feedback DH, and you’re spot on about this being a marathon. The key for me is to be as consistent as possible in adding new capital, choosing sound companies to invest in, and letting the power of compounding do its work. I think it is natural to want to try and rush things and reach milestones as fast as possible, but as long as there is a sound strategy and you remain true to that strategy the goals will be achieved in due time. Good job. These off months are always a little less but we know as add they will get better. Keep it up. Thanks for the feedback and stopping by Doug! You’re right that over time these months will get better. We just need to keep feeding the dividend machine and remain consistent in executing our strategy. That sounds like a great July Divvydad! Awesome to see you deploying your capital and adding to your forward income. Your target of $2500 this year (!) is a hefty one but the way your rolling this should be attainable. Keep it up! The timing of my pension rollover will certainly play a role in me reaching that target, as I am hoping to add a nice chunk from REITs and BDCs. Continuing to add new capital will definitely help too.